DEADLY CLASS co-creator Wes Craig launches an all-new series with artist Toby Cypress (Omega Men) in THE GRAVEDIGGERS UNION, a horror series—chock-full of steroid zombies, monster gods, swamp vampires, ghost storms, and space monkeys—set to launch this November. 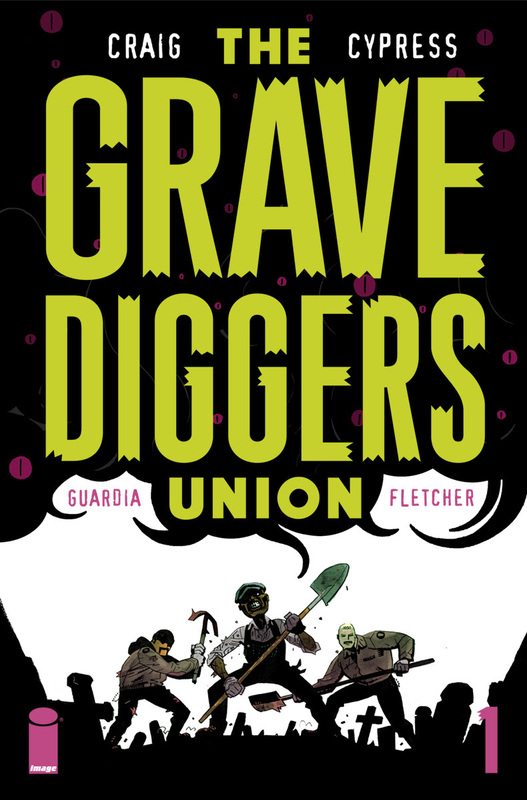 THE GRAVEDIGGERS UNION #1 (Diamond Code SEP170600) will be available in stores on Wednesday, November 1st. The final order cutoff from retailers is Monday, October 9th.